As the reigning queen of American musical theater–and one of the nation’s leading supporters of animal rescue and adoption–the great BERNADETTE PETERS is having a “hot” month, exercising two of her greatest passions in a tour de force of talent and heart. First, she’s coming back to Broadway on July 13th, starring at the Walter Kerr Theater in Stephen Sondheim’s A Little Night Music (replacing Catherine Zeta-Jones as the character Desiree Armfeldt, while the great Elaine Stritch will play her sharp-tongued mother, replacing Angela Lansbury.) This eagerly-awaited performance is going to inject new life into the show, as Bernadette is the undisputed master of Sondheim’s complex style and spirit. 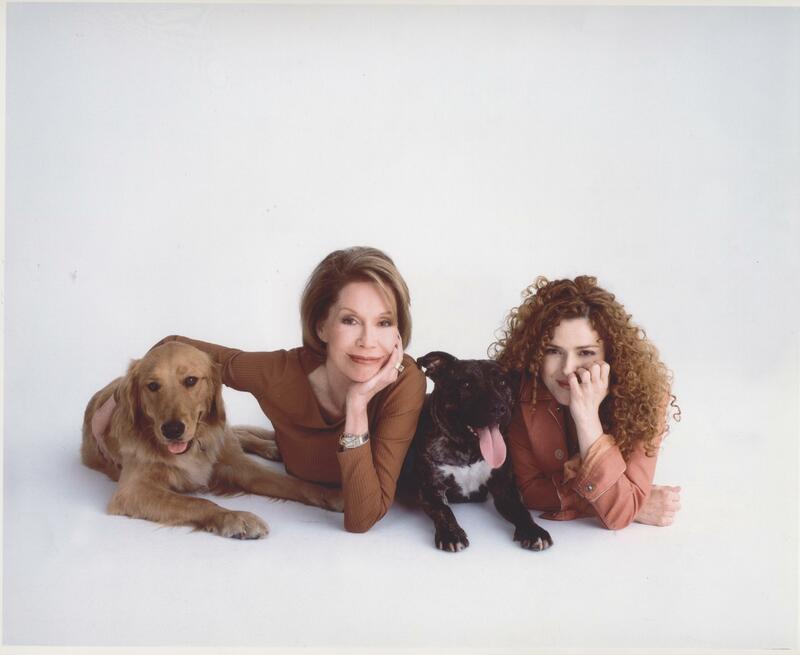 And while she’s buffing this resplendent performance to a high sheen–this Saturday afternoon she’s also appearing at Broadway Barks–the annual dog-and-cat adoptathon she co-founded in 1999 with fellow dog lover and TV-and-motion picture icon Mary Tyler Moore. Now in its 12th season, this is a star-studded event held by Broadway actors in Shubert Alley, benefiting over twenty New York animal shelters, rescue services, and adoption agencies. You won’t believe how many adorable cats and dogs will be strutting their stuff on The Great White Way, as we all have the chance to take into our hearts and homes these abandoned animals who desperately need a brand new start. And while you’re adopting one of them as your own–you can catch a glimpse of two American legends–Bernadette and Mary, in addition to such other stars as Kelsey Grammer, Tony Shaloub and Sean Hayes.Proceeds from the auction and other donations received during the day will benefit the shelters and organizations attending Broadway Barks 12. 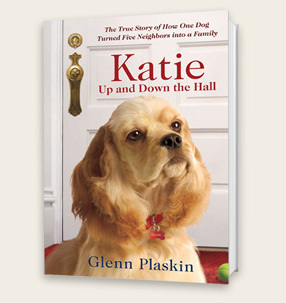 To support Broadway Barks, Peters has written two children’s books, the first is about a scrappy dog, named after her dog Kramer, and the pleasure of adopting a pet. 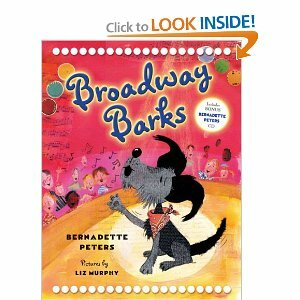 Titled Broadway Barks, the book is published by Blue Apple Books (2008). 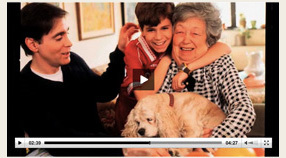 Peters wrote the words and music to a lullaby, titled “Kramer’s Song”, which is included on a CD in the book. 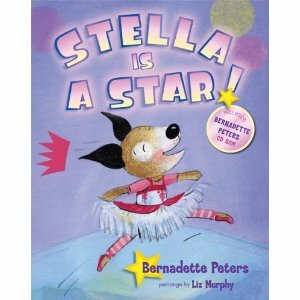 The book reached #5 on The New York Times Children’s Best Sellers: Picture Books list for the week of June 8, 2008. For those who don’t know, busy Bernadette, over the course of a career that has already spanned five decades, has starred in musical theater, films, and television, as well as performing in solo concerts and recordings. For her Broadway performances, she has received nominations for seven Tony Awards, winning two, and eight Drama Desk Awards, winning three. Nobody can forget her indelible performances in Sunday in the Park with George, Into the Woods, Annie Get Your Gun, and Gypsy. And nobody will ever forget all the charitable work she’s doing, not only for Broadway Barks, but for Broadway Cares/Equity Fights AIDS as well. In short, there’s a reason why Bernadette Peters delivers virtuosic performances that are passionate and heartfelt–she is someone who cares deeply and this, more than anything, is the secret of her success.